Saint Astier® Natural Hydraulic Lime and derivative products have been produced by the same families in Saint Astier, France since 1851. The characteristics of the raw materials as well as the manufacturing process assure the user of a product that is both high in quality and performance. 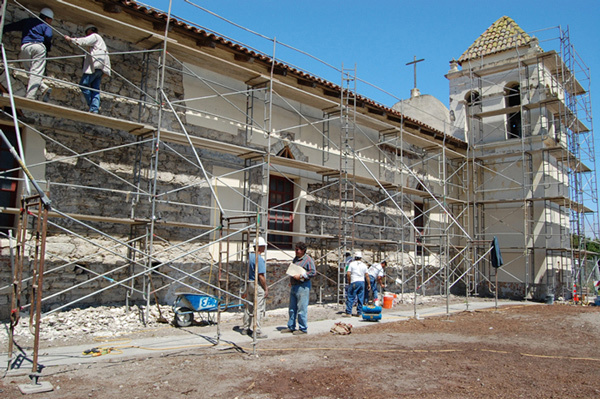 In historical preservation and restoration, the consistency of the product, as well as the type of product, is extremely important to ensure compatibility with the existing structure and materials. In new build construction, Saint Astier® Natural Hydraulic Limes have developed a broad range of mortars and binders for the modern day requirements of today’s builders. Natural Hydraulic Lime competes with, and outperforms, comparable products in strength, elasticity, plasticity, and more. The ecological benefits of lime mortars such as CO2 re-absorption and condensation control are also crucial to a long-lasting and sound structure. What is the chemical structure of natural hydraulic lime? What is the lifecycle of NHL? What is the composition of raw material? What is the mineralogy and chemistry of the raw materials? What do tests and research show? What are the lime binders in context? What is the simplified composition of lime binders? Is there any information on quality control?